Like I told my bud, "What's not to love about an Oxford accented French/Russian major cavorting about in black caped spandex like an extra running late to the set of The Matrix?" Nothin'. Not a darn thing! 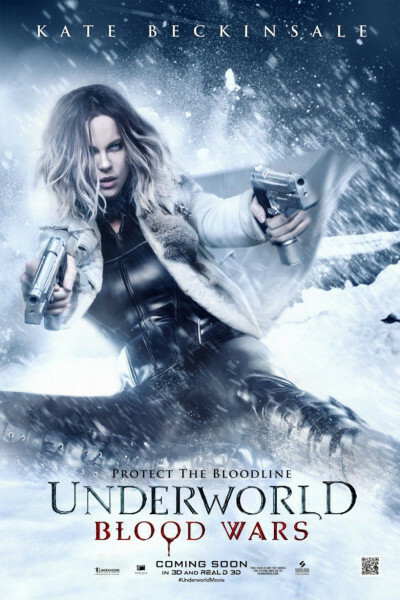 I can't recall whether this is installment #5 or 50, but either way, it's lighthearted fun involving covens and Nordic comings and goings among vampires, lycans, and genetic hybrids. I suppose my only disappointment was the special effects. The shape shifting is pretty clunky. Anyhoo, in the land of scarcity, you can't have everything.